Censorship is a tragic state of affairs, and censorship of the paranormal -- even paranormal fiction - is even sorrier. Journalist Carlos Prieto at www.publico.es describes Spain's harsh censorship of books and movies in an article on Alberto Gil's La censura cinematografica en España (Film censorship in Spain - Ediciones B, 2009). Apparently nothing escaped the censor's prying eyes, not even Audrey Hepburn's Breakfast at Tiffany's. Generalissimo Francisco Franco, according to Gil, would issue a slight cough whenever he watched a movie - a sign of his discomfiture at what he was seeing. His iron legion of censors would then get to work on a persecution that the author describes as "one of the most ruthless, extensive and arbitrary" of the 20th century. But the Generalissimo had a special measure of loathing for works involving the paranormal. Horror movies, no matter how fantastic their plots, were deemed threats to the well-being of the state and the susceptible minds of the audience. One of these was Alexander Hall's award winning Here Comes Mr. Jordan (1941), about a prizefighter who dies before his time and is awarded a new body by an angel. Body-swapping flicks are a Hollywood staple (Freaky Friday, anyone?) but censors saw the germ of heresy in them. Hall's movie was classified as "laughable from a moral standpoint, as it accepts the reality of metempsychosis, reincarnation and the adaptation of bodies. This extreme degree of fantasy merits its suppression." As could only be expected, the marauding zombies, mummies, wolf people and vampires that plagued B-movies for generations were not only enemies of the state, but also of the Church. 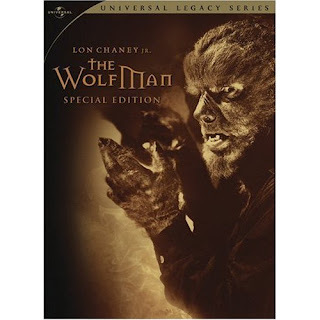 Lon Chaney and Bela Lugosi's "The Wolfman" (1941) was classified as "such a gross admixture of superstition and religion that it does not seem acceptable. "Dracula" was rejected as "a peril for the feeble-minded." The censors sharpened their scissors, however, not for an American B-movie but a Mexican production straight out of Churubusco Studios: Director Rafael Portillo's La Momia Azteca (The Aztec Mummy, 1957). This time they did not bother attacking the subject of the film, but the intelligence of an entire nation, rejecting it as "a mixture of confusion and errors for the uncultured masses, which represent the majority" and "suitable to the cultural childishness of the Mexican people," chock-a-block with reincarnation, transmigration and other "shenanigans". One of the critics decreed: "It's not that I find it harmful, just imbecilic and suited for unlettered audiences." Argentina: Cow Abducted by Flying Saucer?